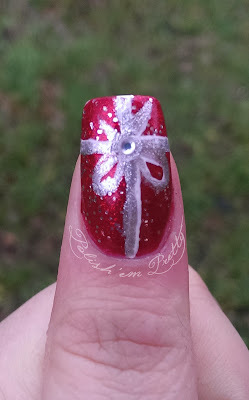 Polish 'em Pretty: The first christmas design of the year! 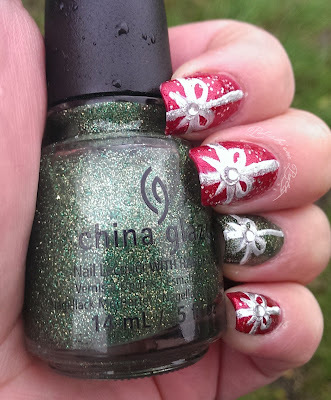 The first christmas design of the year! The storm is raging outside and I am sitting at my computer with a warm blanket and a cup of hot chocolate and christmas music in the speakers. It sure does seem like christmas is coming! 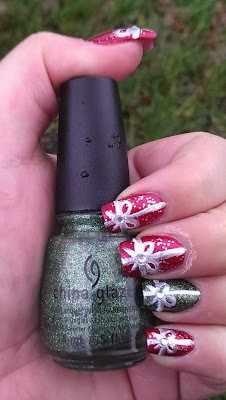 So I think it's time to show you my very first christmas design this year. I really wanted to try of one of my new polishes from Rimmel called Ruby Crush from the Precious Stone collection, so I ended up painting presents on my nails, because I was a little short on time. I started out painting my ringfinger with China Glaze - Agro and the other nails with e.l.f. - Red Velvet, then I gave the ringfinger 1 layer of China Glaze - This Is Tree-mendous (the bottle I'm holding) and the other nails 1 layer of Rimmel - Ruby Crush. Then I painted the ribbons first with a white and then with a silver, letting some of the white be visable and I topped it of with a rhinestone in the middle of each bow. Im not quite satisfied with the ribbon. It got a little thicker than planned, but my brush just didn't want to work with me. What do you think? 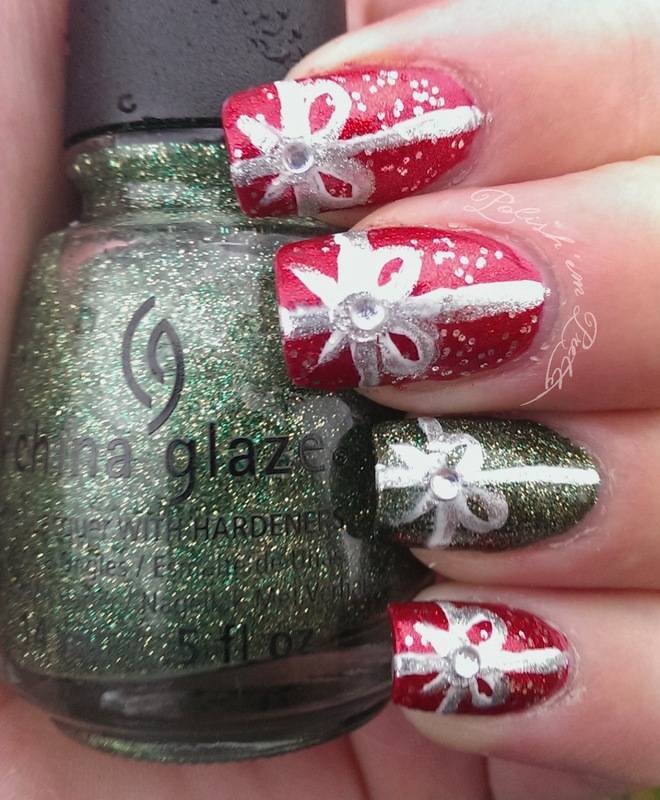 Have you started painting christmas designs yet? I think it's a really cute design you made!